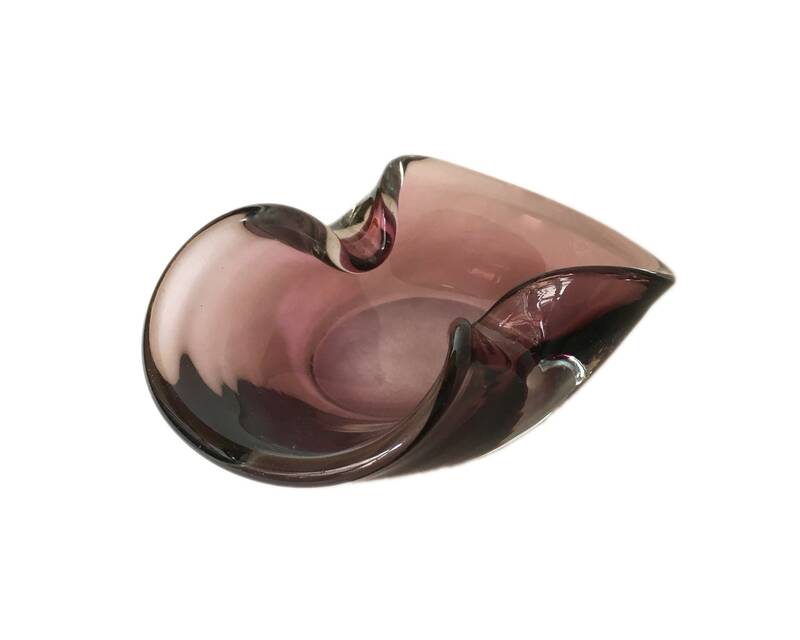 Amethyst Handblown Murano Glass Ashtray. Scratches to it bottom. Great vintage condition.